BFS is the one to call to repair your air conditioning, furnace, or other residential equipment. 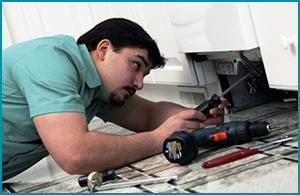 It is always a huge inconvenience when your HVAC or appliance equipment breaks down. And when the wrong equipment breaks during extreme weather conditions or when connected to a gas line, things can quickly turn dangerous if not deadly. Because regular maintenance can often avoid or forestall the need for a repair call, we always recommend that you join the thousands of other customers who have signed up for a BFS annual service agreement. However, when you find yourself in need of HVAC or appliance equipment repair, you can call in confidence knowing BFS repair experts are on their way. With 35 years of experience and over 70,000 satisfied customers, if your repair need is an emergency, please call 1-877-237-9700 right away. If the need is important but not critical to your family’s health or safety, then please schedule a BFS repair visit today. Serving 18 locations across Florida, Texas, Arizona and Nevada.